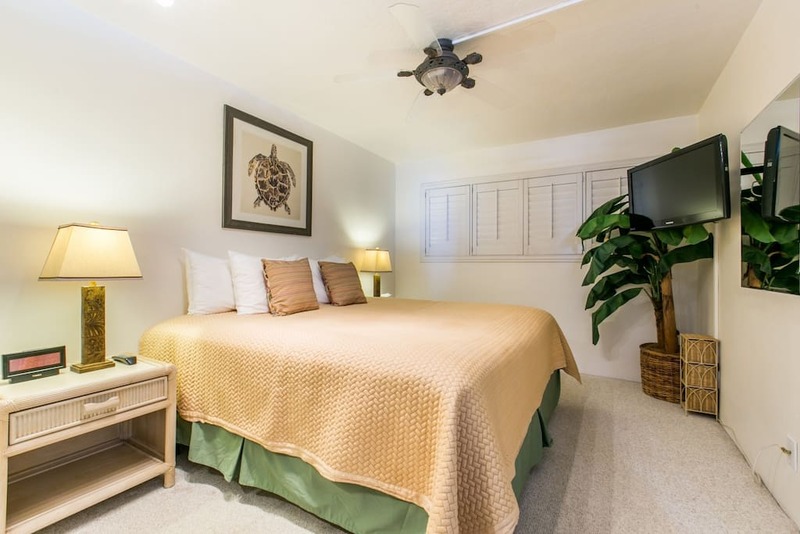 Rates from $2250 per Week (seasonal rates), plus Tax, $200 Clean Fee, $50 Reservation Fee, $500 Refundable Security Deposit. 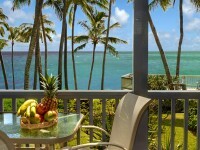 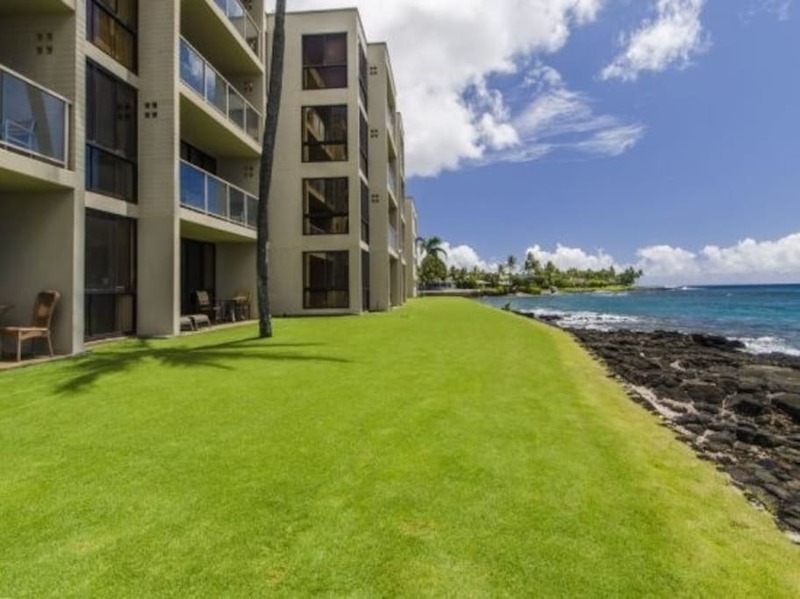 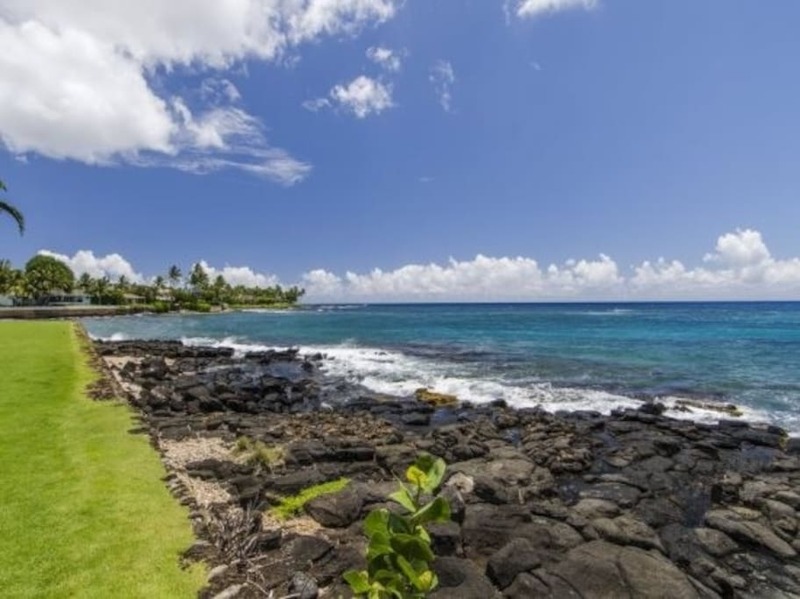 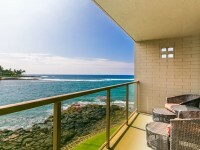 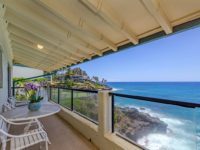 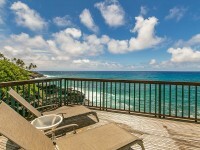 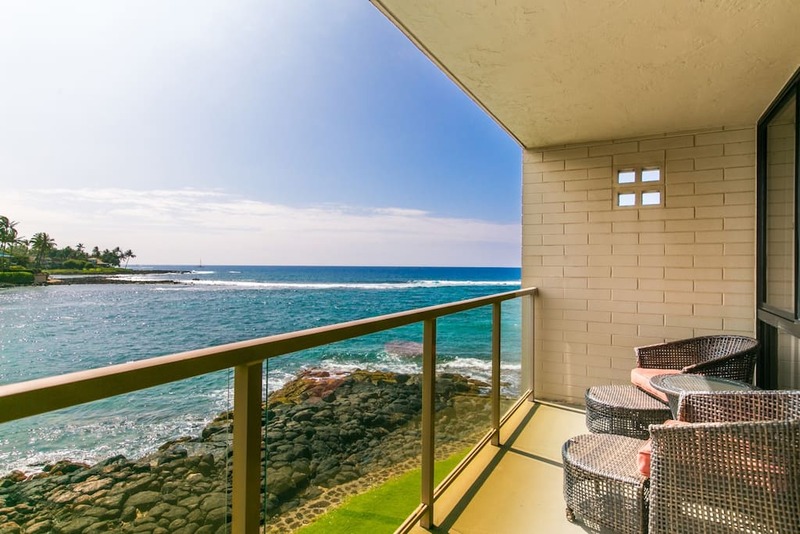 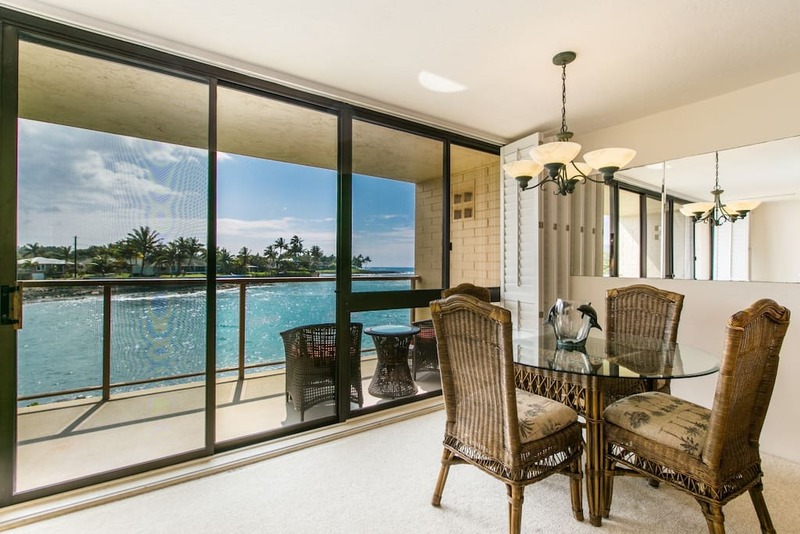 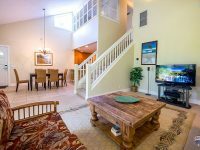 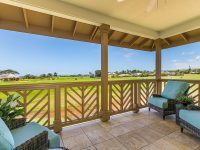 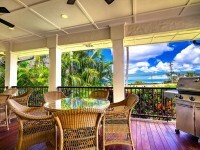 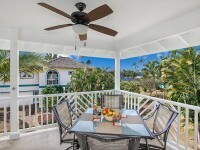 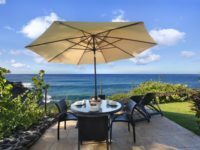 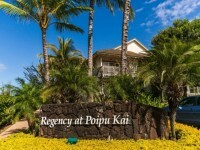 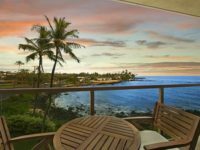 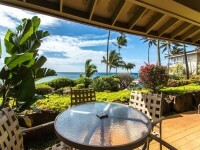 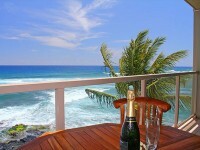 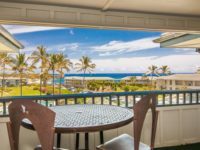 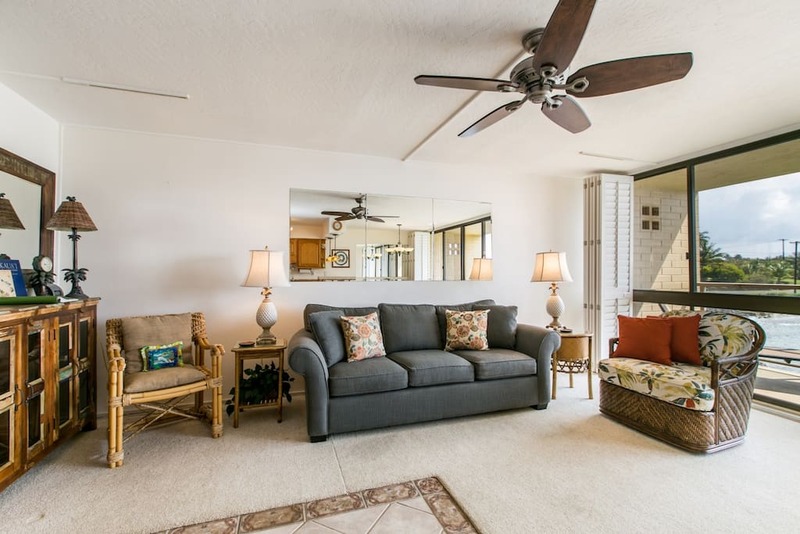 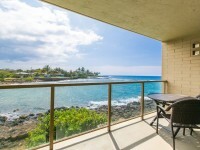 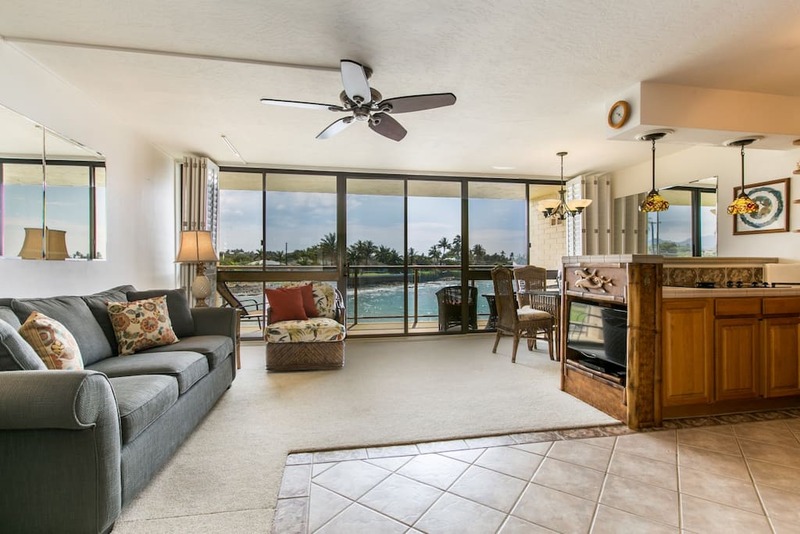 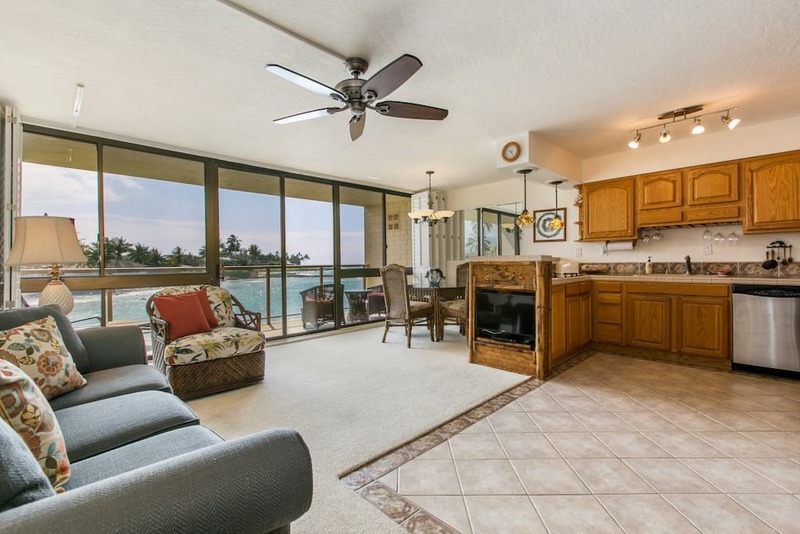 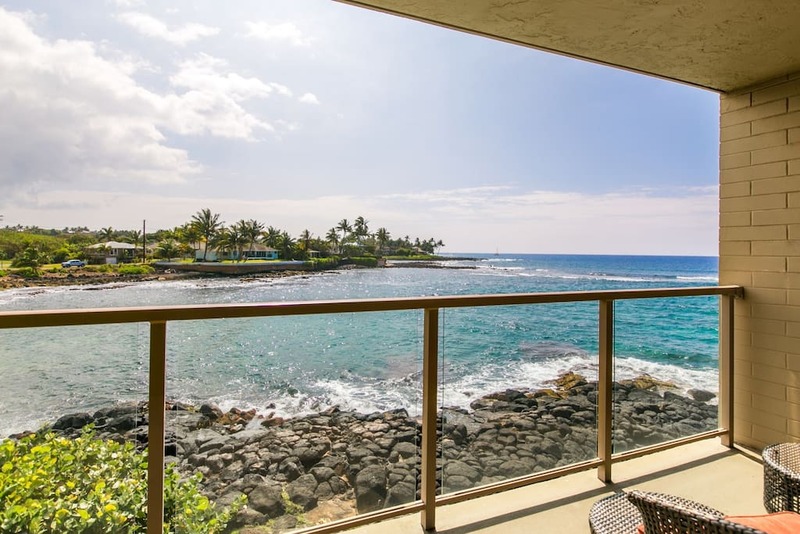 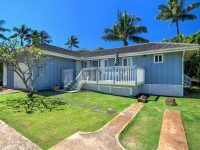 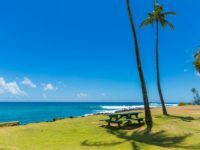 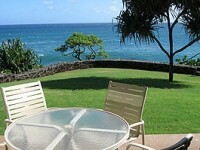 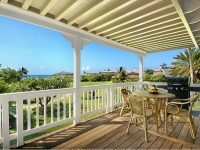 POIPU, KAUAI CONDO VACATION RENTAL: Affordable and beautiful this 1 bedroom, 1 bath ocean-front condo is meticulously maintained and is a rarity to include AC. 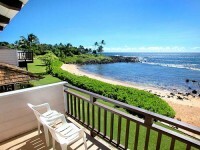 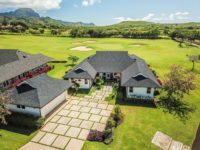 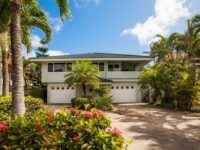 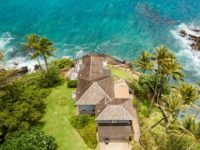 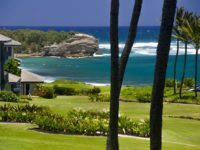 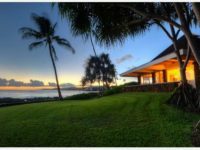 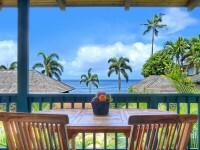 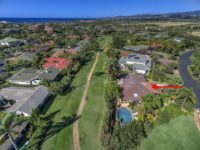 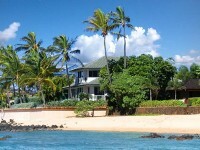 Your home away from home just a few feet from the waters edge at Kuhio Shores in Kauai’s sunny south Shore. 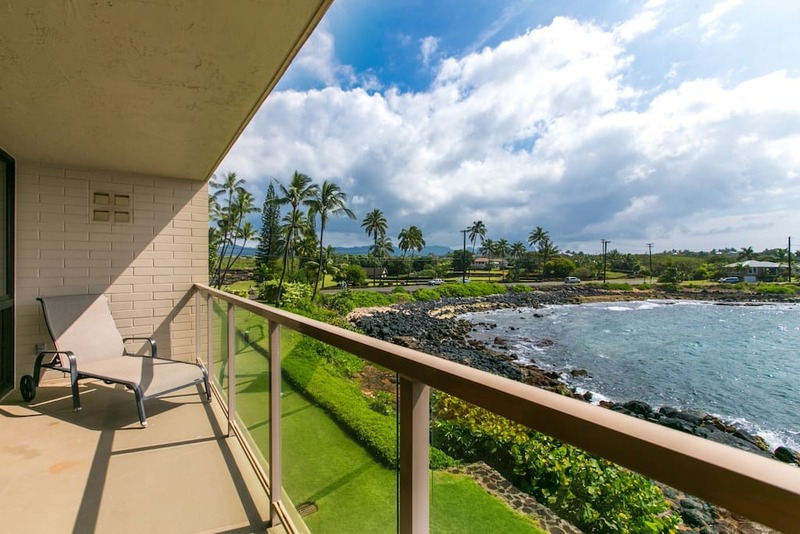 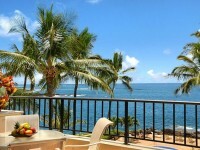 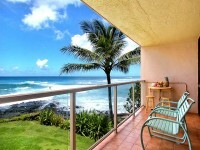 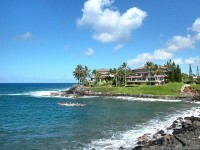 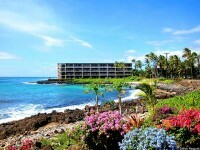 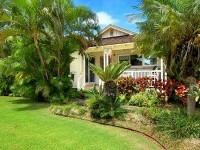 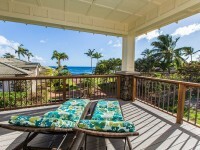 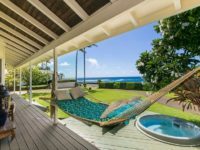 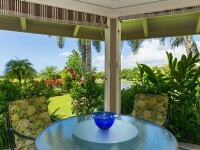 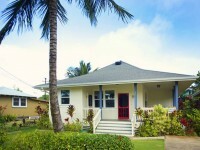 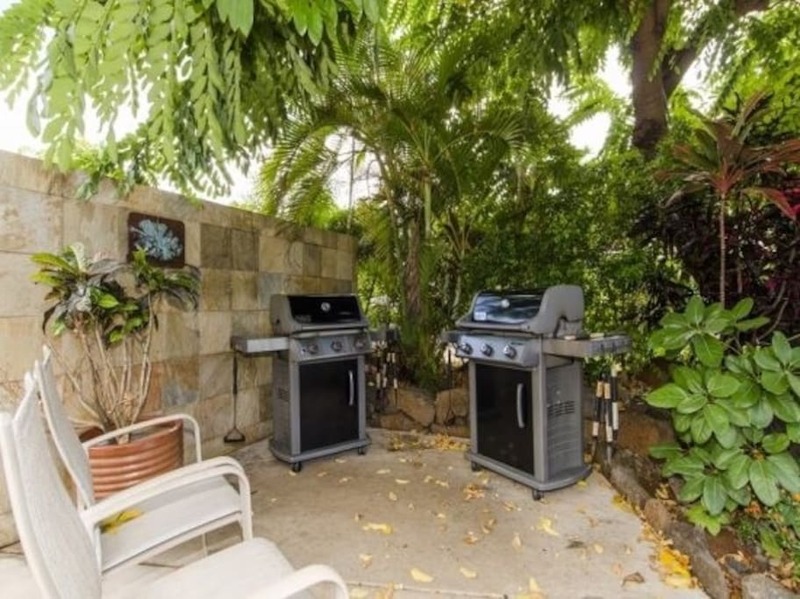 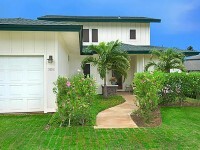 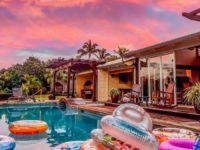 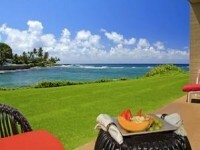 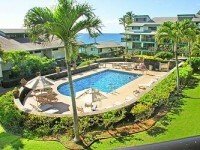 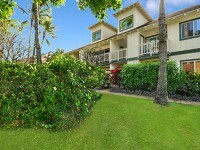 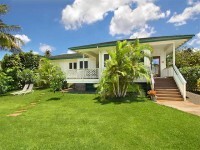 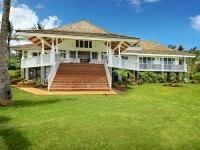 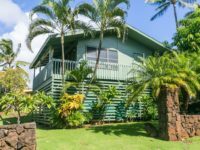 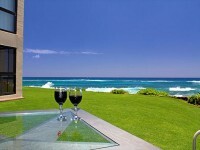 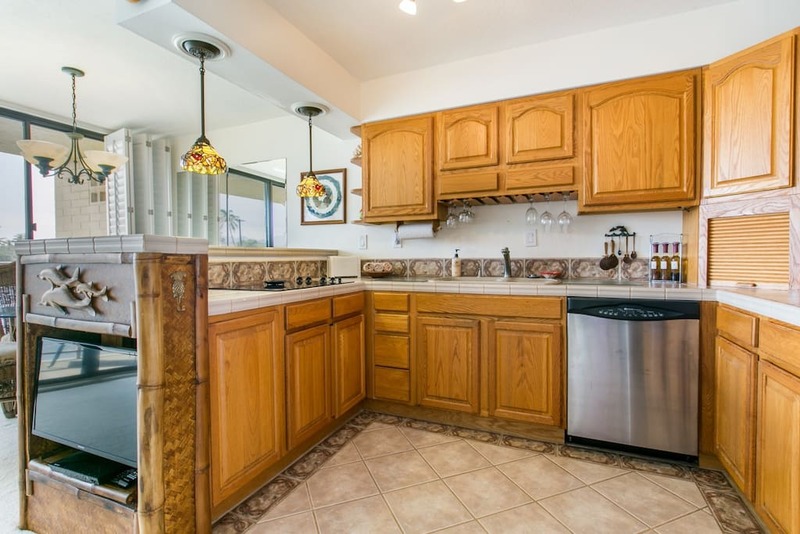 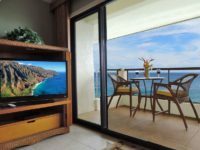 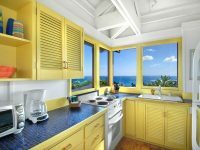 This unit has everything you will need to create a memorable Hawaiian vacation. 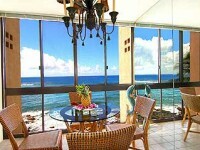 The sea turtles can be seen swimming around from the lanai and occasionally you will spot a whale or a dolphin. 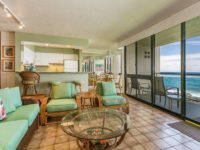 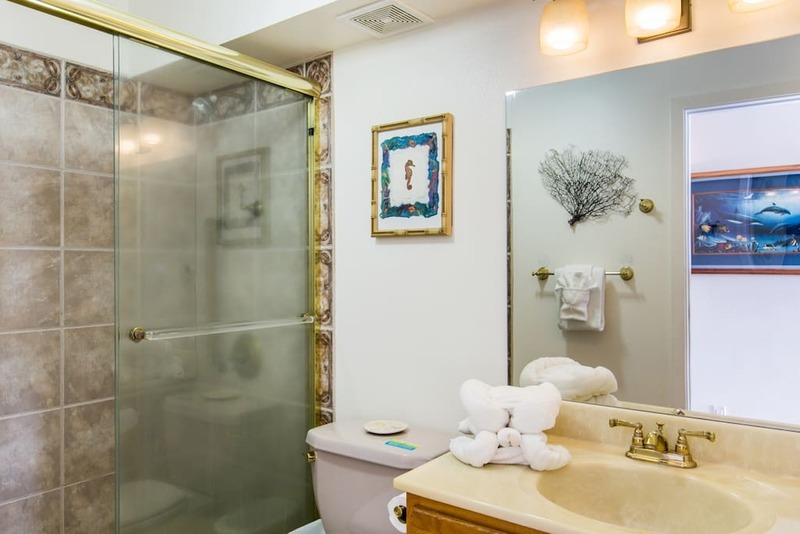 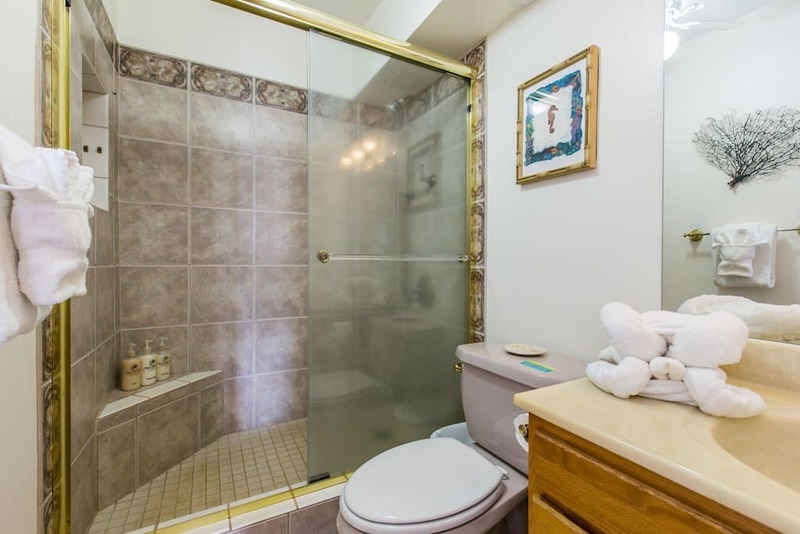 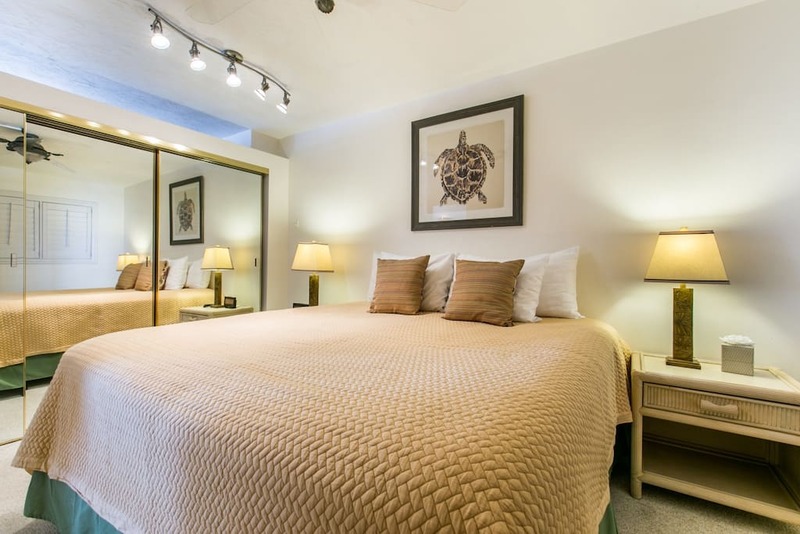 This fully equipped condo is equipped with linens and towels: it also includes and a starter set of paper products (toilet paper, garbage bags, sponge) dish soap, laundry detergent, hand soap, starter packet of Kauai Coffee and Island Soap & Candle works bath amenities. 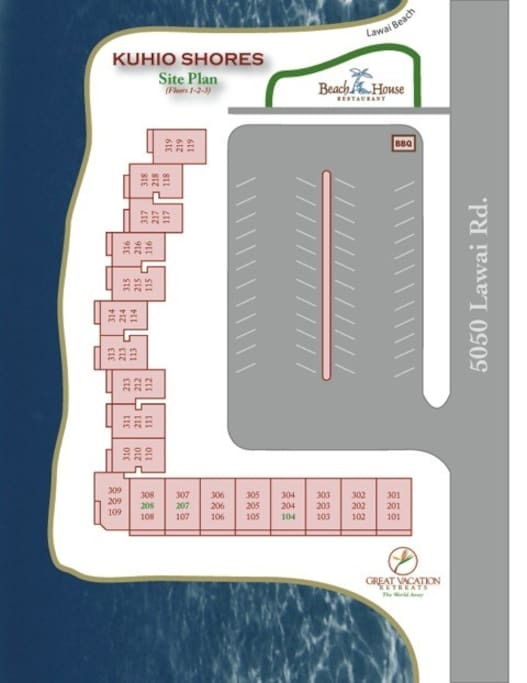 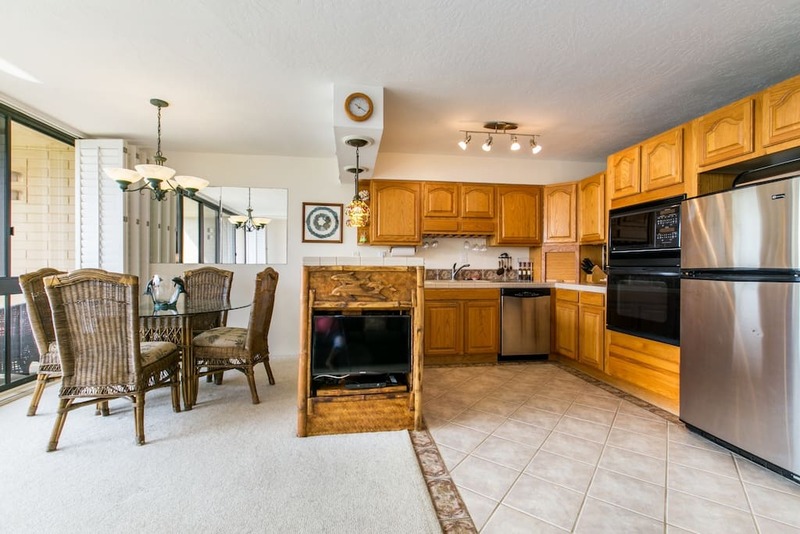 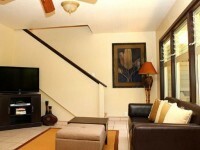 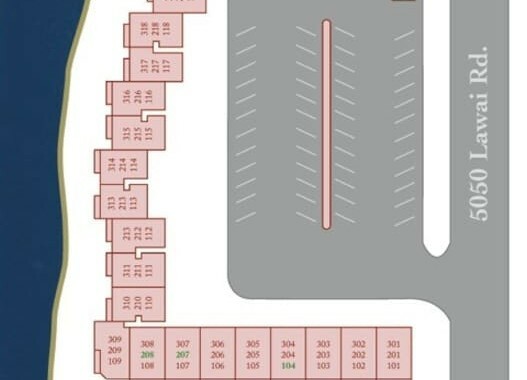 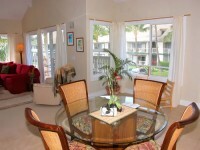 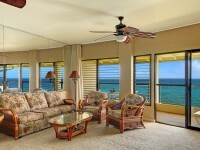 This condo has WiFi internet, washer & dryer in the complex and beach equipment. 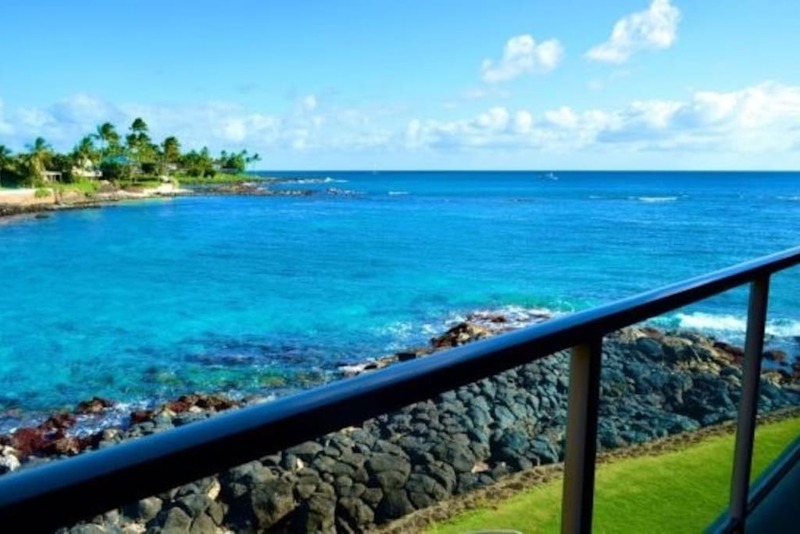 The best snorkeling on the island is just steps away. 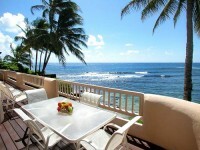 Located just next door, Lawai Beach is known for its exceptional snorkeling and surfing. 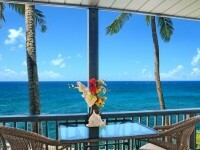 Walk next door for dinner at one of the great restaurants on the island, The Beach House – best enjoyed at sunset!